The HAMOVE Rallycommittee is a team of 5 persons who organise the annual international rally for historic motorcycles built before 1941. This event, that has been organised since 1965, is the largest and oldest in the Netherlands and is one the best known rallies in Europe. Every last weekend of August this two days event is held. Both on Saturday and Sunday the participants ride for about 100 km in the most beautiful parts of the east part of the Netherlands. Participants of this event are coming over from a lot of European countries, like Germany, England, Switzerland, Austria, Luxembourg, Belgium, Sweden, Denmark and of course the Netherlands. The number of participants jearly varies between 150 and 200, all riding motorcycles built before 1941. Both famous and less known makes will start, like f.i. BMW, DKW, Ariel, Brough Superior, ACE, Rudge, NSU, Lanco, Delta Gnom, Zündapp, Terrot, Peugeot, etc. 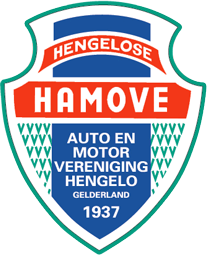 In 2010 the HAMOVE Rallycommittee had the honour to host the 29th Int. Windmillrally (European championship country teams) with a record of 250 starting historic motorcycles from 9 countries.